Thank you for your interest in CKS! 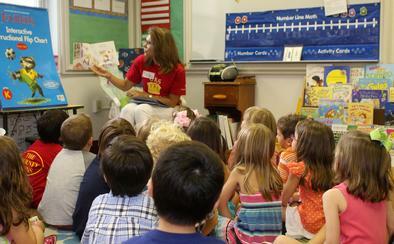 CKS is proud to serve Developmental Kindergarten- 8th grade students. We know that choosing a school is an important decision and we want you to know that we are here to help you with this process. Admission for the 2019-2020 school year has begun! Click on "Admissions Process" to the left to go to the online application. If you are interested in applying for the current year (2018-2019) , please contact Julie Blue to see if there is still room in that grade level. This is a great way to learn about the school. You will receive a tour from a student ambassador and get the chance to ask questions of current students, current parents, alumni, and administration. Please try to attend at least one before you apply because it will provide you with wonderful information about all CKS has to offer. If you have missed these deadlines, please contact Julie Blue to inquire about possible admissions.